ISLAMABAD:(APS)The United Nations Commission on Narcotic Drugs (CND), during its sixty-first regular session, which convened in Vienna from 12-16 March 2018 adopted, by consensus, the resolution tabled by Pakistan on the theme of “Strengthening efforts to prevent drug abuse in educational settings”. The resolution was co-sponsored by several countries from different regions, including, Algeria, Andorra, Belarus, China, Ecuador, Guatemala, Honduras, Liechtenstein, Nigeria, Paraguay, Peru, Philippines, Indonesia, Libya, Russian Federation, Thailand, Sri Lanka, Switzerland and Vietnam. The resolution draws the attention of the Commission to the common challenges of drug use among children and youth in schools, colleges and universities settings. It underscores the need for enhanced efforts, including policy interventions and comprehensive drug prevention programmes, to protect children and youth from the scourge of illicit drugs and to make educational settings free from drug abuse. The resolution emphasizes the important role of educational settings in promoting healthy lifestyles among young people and calls for close coordination among law enforcement, education and health authorities at domestic level. The resolution seeks to advance discussions and inspire concerted efforts at all levels for safety and well-being of children and youth. 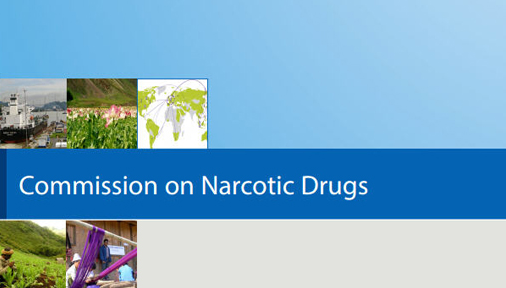 The Vienna-based UN Commission on Narcotic Drugs is the leading policy making body within the United Nations system on matters related to drugs. Pakistan is an elected member of the Commission for the four-year term of 2016-2019.